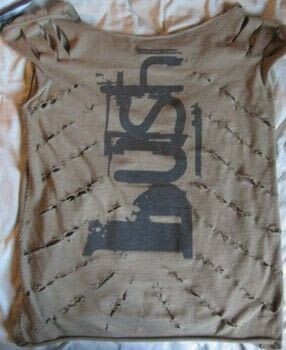 I found this 'Bush' Band t-shirt at a re-sale/vintage store a year ago. 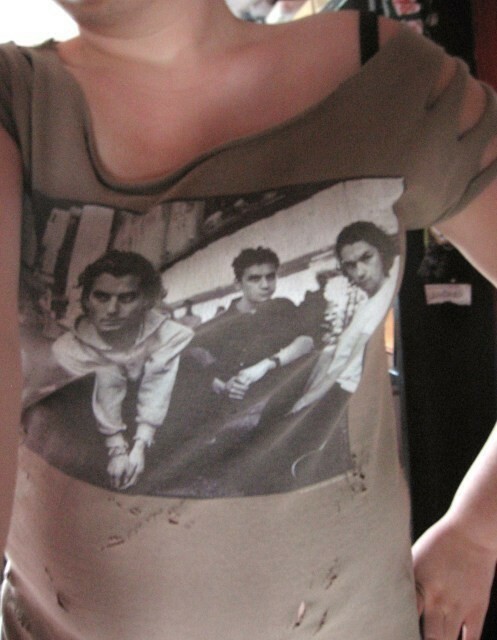 I about peed myself cuz i love this band! I loved the back print the most. PROBLEM: It's real old from 1994, was 2 sizes too big, and the person that owned it before must've never used fabric softner cuz the fabric was real tough & uncomfortable. Its also this weird color, im guessing its faded too. So basically i'm sayin it had problems...& i never wore it. lol So, i fixed it! Muhaaha! SOLUTION: I cut the sides off to make it fit me, sewed back together. Then i cut the neck out to make it a big scoop neck, to wear off the shoulder too. And i cut the sleeves in 3 slits. Then i distressed it more; making holes on the front, and in lines on the back (to show off the back print i loved so much). I used an exacto knife for that, neat technique. 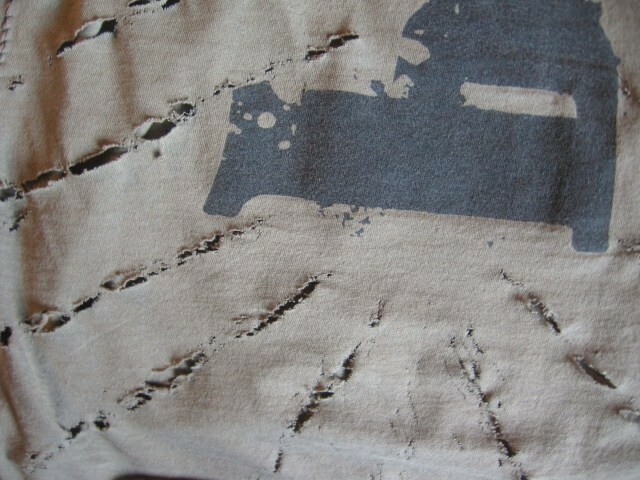 Distressing it also made the fabric softer somehow & more comfortable. Now i can wear it! XD YAY! 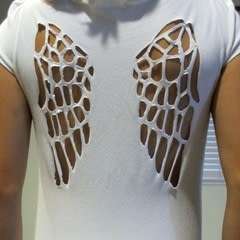 that is so amazing!!! Bush is killer live. you got to hug gavin? so jealous!!! Yes they are! Definetly the best concert ive been to. lol Gavin was super nice. Yes They are on tour again! I just bought tickets to see them in Oct. in Ohio.... I'm so freakin excited. 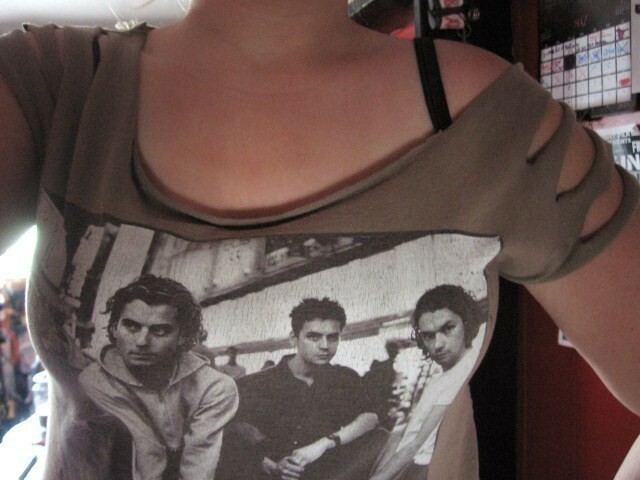 i love them- too bad mr. rossdale's solo album was just eeeh. A friend told me they're on tour again?